Virendra V. Vaishnav was jailed in Lajpore Central Prison, Surat, Gujarat State in India from November 2010 in connection with alleged crime murder charged 302 of Indian Penal Code, as he said which he has not done. He is an under trial prisoner there and waiting for the court trial to end. His is abandoned by his wife and prevented from seeing his daughter, which has a profound effect on this writing and mental state. Despite his anguish at being torn from his loved ones Virendra tries to help fellow prisoners where he can. His deep religious faith enables him to remain strong and survive his incarceration and he uses faith help those around him. 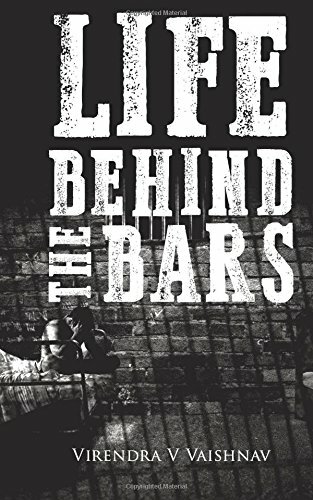 Life Behind the Bars is a fascinating yet disturbing insight into the mind of a prisoner who can see no end to the relentless mental torture of his prison sentence. Virendra V. Vaishnav is jailed in Lajpore Central Prison, Surat, Gujarat State in India from November 2010 in connection with alleged crime murder charged 302 of Indian Penal Code, as he said which he has not done. He is an under trial prisoner there and waiting for the court trial to end. He is devoting his time to the prisoners and guards. Virendra is a multi talented personality with lots of arts given as gift by God. He has achieved many awards as a Journalist, Painter, Designer, Cartoonist, Modern Artist, Poet, Religious Speaker, Singer and Spiritual Music Composer. Even in prisonhood he has also won two times national award, Tinka Tinka India Award, in Year 2015 for poem and painting, and in Year 2016 for special talent in prisons of India. His two children living in another part of the city far from the prison.